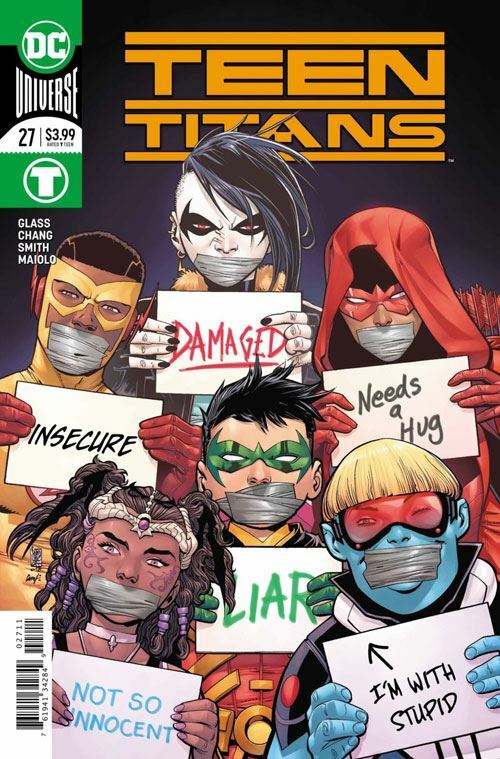 Djinn gets the focus of attention in the latest issue of Teen Titans, as she reveals her origin story to Robin. Without spoiling anything, she has a very dark past, one that she is running from. I feel comfortable mentioning that, as earlier issues had hinted as much. I am glad that Robin is the one Djinn chose to confide in, as I am very much enjoying watching their relationship develop. Damien has such an abrasive nature, he repels far more people than he attracts. I’ve really enjoyed watching his friendship with Superboy develop in the Super Sons series, and am glad we are going to see him in a full out romance. At least, I think that’s where it’s going. The story also develops Roundhouse further, as he brings Kid Flash home for supper. The mother is both hilarious and annoying in the way she undervalues her son. There is still more of Roundhouse’s backstory to be told, but Kid Flash learns enough to feel badly for his friend. Very good art throughout the issue, but I have to admit my favourite pages are in Djinn’s backstory. The detail given to her time period is very evocative, and I love the illustration of the city on page 12. Teen Titans is coming along very nicely so far, especially in comparison with Titans.